Thanks to shungite protective and healing properties and rich attractive black color this Karelian mineral is widely applied for handmade and crafting. There are numerous unique shungite jewelry pieces on the market including shungite pendants, earrings and so on. Alongside with being trendy accessories they are ready to ensure your comprehensive protection, physical and spiritual healing. 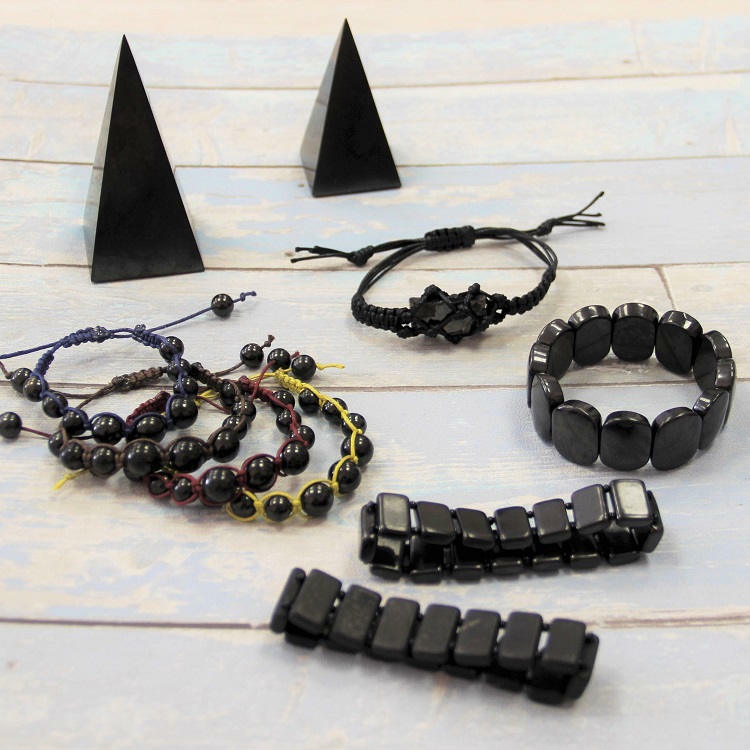 One of the most popular and widely spread shungite jewelry pieces is shungite bracelets. The reason for it is that regular shungite stones can be easily polished and shaped. It results in an immense variety of beads’ shapes that can meet the demands and preferences of anyone. Therefore, shungite bracelets from Russia are worn by the people of all ages and nationalities around the world. Wearing shungite bracelet you will not only look attractive and eye-catchy, you will also be protected from the negative influence of the outside world including electromagnetic radiation and geopathic stress. Since wrist area is a very sensitive part of our body with a number of bioactive spots, putting shungite bracelet on your wrist you will improve the functioning of several internal systems of your body, namely cardiovascular and digestive, nervous and immune systems. Shungite bracelet is your must have piece of jewelry if you often feel sick or suffer from mood changes. Due to the high positive energy of shungite bracelets made of this mineral are able to balance the energetic flows, clear and charge the Root chakra bringing calm and stability in the life of its owners. Having shungite bracelets on your wrist at work you will be able to improve your performance by increasing memory capacity and overall productivity. 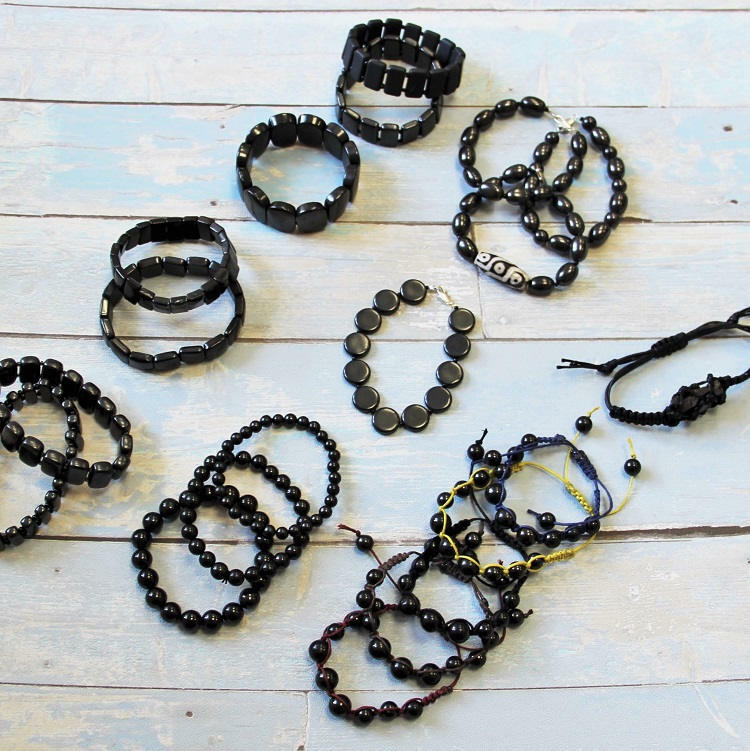 Karelian Heritage Company offers a wide range of shungite bracelets directly from Russia. 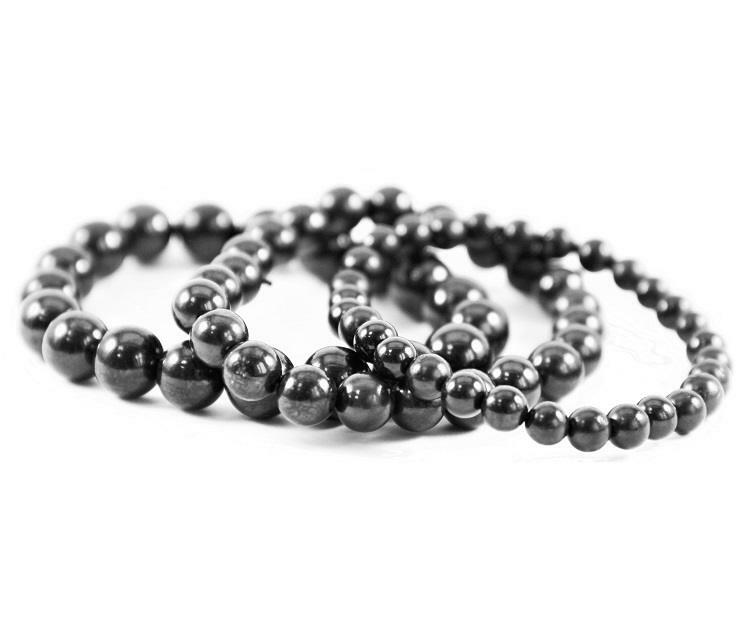 The classic type is shungite beaded bracelets with round polished beads of different sizes ranging from 6 mm to 12 mm. Shungite macramé bracelets are among best selling items at our store. They are carefully handmade by our team of regular shungite beads or unique elite shungite nuggets in their original form. 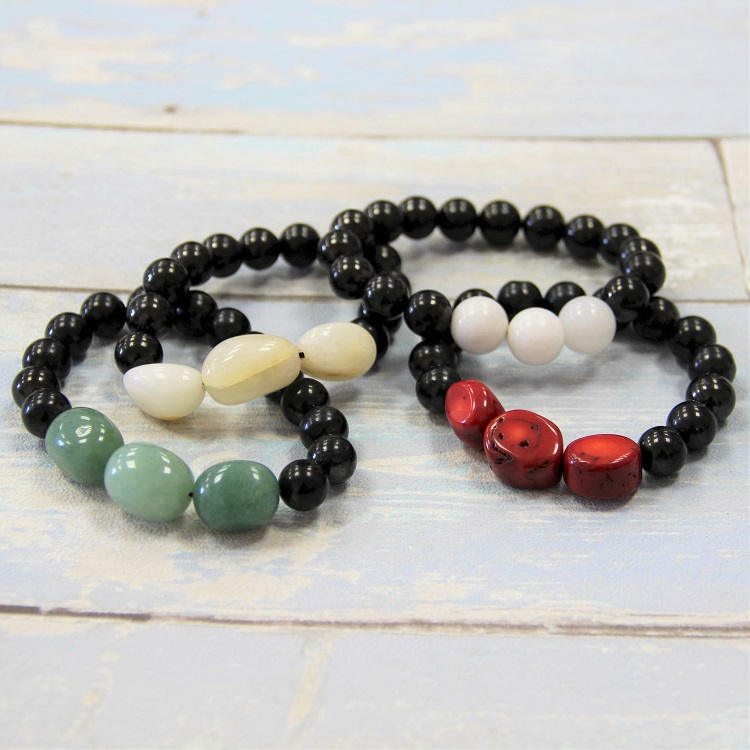 Some of our shungite bracelets have beads of other crystals and minerals including green aventurine, red coral or purple agate. Have the one to enhance the positive influence of shungite and bring positive change in your life. Thus, you will definitely find something to match your preferences. All shungite bracelets are unisex. Besides, Karelian Heritage offers customization and you can ask us to make a shungite bracelet of different size for you. Shungite bracelet is a perfect way to make yourself and your loved ones happy and protected. Look through our shungite bracelets, choose the one and have all the unique protective and curative properties of shungite on your wrist.